Though I have not stopped cooking for a while, I am catching up late with you all due to my preoccupation with official report writing for infrastructure development projects which currently I am in. Recently my elder brother Debabrata has treated me with a mutton preparation which was awesome. Inspired by that I prepared this chicken curry that turned out to be awesome too. I am sharing this pleasure with you. 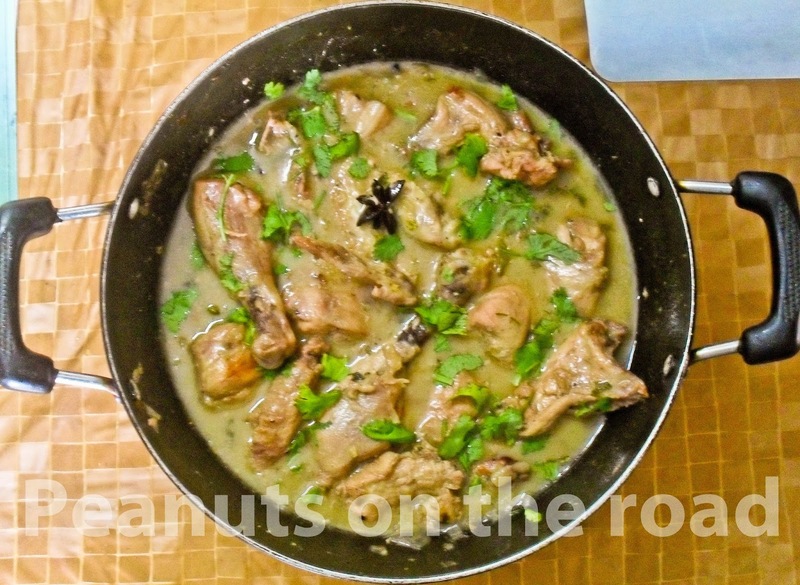 Let’s start preparing chicken in coconut cream……. v Wash chicken pieces and drain off excess water. v Add 1 tbsp garlic paste and salt and mix well. v Keep aside the marinated chicken for an hour. Put oil in a wok and put on the flame. Heat oil and put star anise and cinnamon stick into oil. Put chopped onions into the wok and stir till golden. Add marinated chicken, ginger paste and the remaining garlic paste and stir well. Stir occasionally and, if required, add a little water and cover wok till chicken softens. Remove lid and add salt to taste, sugar, ground black pepper and coconut cream. Stir well and keep it on low flame for 2 minutes. 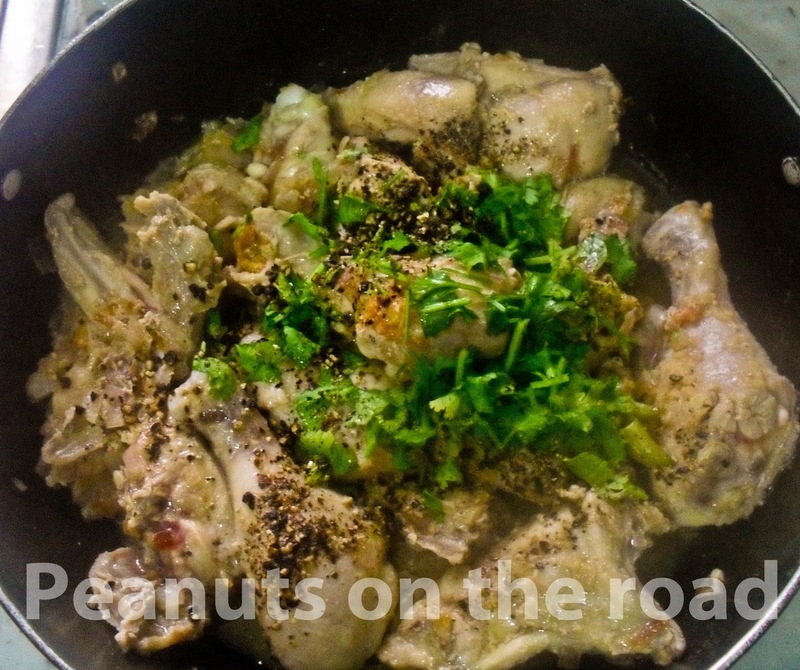 Remove wok from flame, add lemon juice and chopped coriander leaves and cover for another couple of minutes for settling..
Friends….it is simple, easy to cook and taste-wise? Ooh la la…..